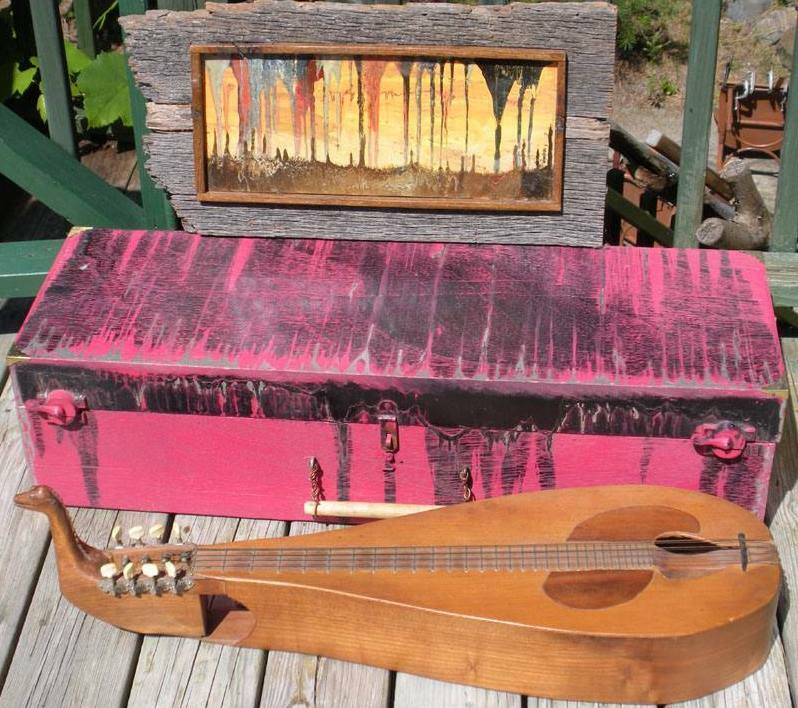 Dulcimer # 21. Top of pine; mahogany veneer pickguard; back, single wraparound side, flush-sunken chromatic fretboard and pegbox of walnut. I named the dragonhead Fred for no gorram reason; it replaced dulcimer's original Elvish name. Four double courses tuned in octaves give it a deep, sweet orchestral sound, like a 12 string guitar. The garish case was painted using a technique used by Patricia Windrow in her Dripworks series; an example is on the case. 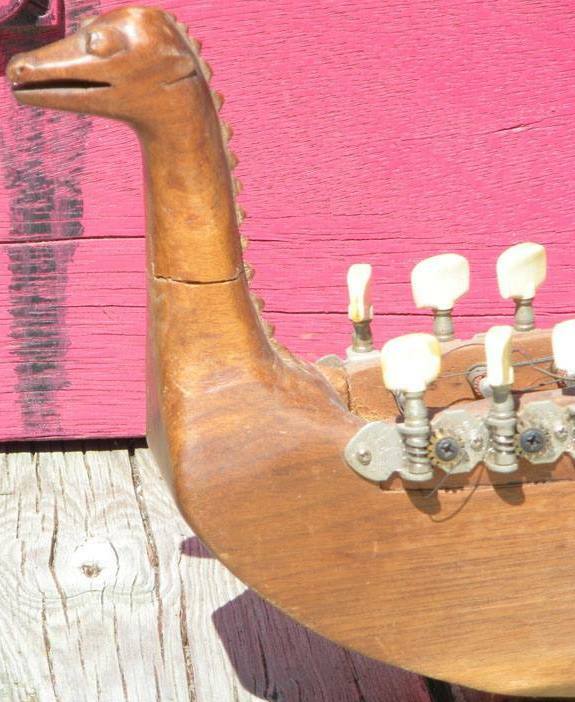 Scroll down for a closeup of the peg-dragon-head. Go ahead, say it. The Castle Aaaagh. Our quest is at an end. Walnut is easy to carve. That's because it's not particularly hard. Or strong: The neck broke soon after I finished the beast. There's now a dowel in there. A byproduct of the height of the sculpture was that the box I eventually built for Fred had room for lots of compartments to store pennywhistles, bones or whatever.